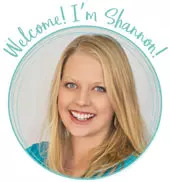 by Shannon Clark in Giving Birth Naturally | 16 comments | Contains affiliate links. Nausea. Exhaustion. Toddler wrangling. Need I say more? Eating, sleeping, and exercising like you should during pregnancy can be hard, but it’s so important! 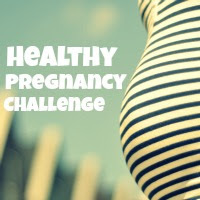 During the Healthy Pregnancy Challenge, I’m choosing just a couple of goals each week. I’m trying to make the biggest impact with the least amount of effort. Let’s face it, there’s only so much time and energy in one pregnant mama’s day! 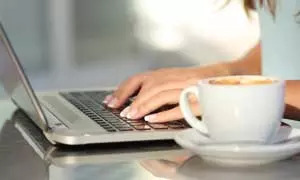 It has really been a challenge for me to get down that much liquid with the many distractions of toddler chasing, but I know it’s important for a healthy pregnancy. My plan is to try to drink 11 cups of water per day along with 4 cups of my pregnancy tea (see #2 below). Herbs are full of lots of vitamins and minerals and can help alleviate many common pregnancy issues. During my first trimester I picked several organic herbs to buy in bulk at Mountain Rose Herbs to make my own pregnancy tea infusions. (To learn about using herbs during pregnancy check out Wise Woman Herbal for the Childbearing Year.) Then morning sickness kicked in and just the thought of those herbs sitting in the pantry churned my stomach! Now in the second trimester, I actually look forward to drinking the tea each day. My plan is to drink 4 cups of pregnancy tea everyday which will count towards my water consumption too. I knew that I would need a super easy method to make the infusion if I was going to actually do it everyday. I got a tea pot with built in infuser, so I can just dump the herbs and water in and go on with my day. It seems there’s an unending list of supplements people are taking now days. At the very least during pregnancy and breastfeeding there is a prenatal vitamin. If you’re like me, then there are even more to help with your various deficiencies. Magnesium and D3 are common along with Calcium, probiotics, and even fermented cod liver oil. However, all these vitamins can only be effective if you actually take them. Unfortunately, there’s no absorbing just by looking at them sitting in your cabinet. My goal is to take all of the supplements as recommended by my naturopath and midwife that I know will help me have a healthy pregnancy. I have them separated into two weekly pill organizers like this, one for morning and one for night, to help me remember. 4. Eat your fruits, veggies, and steak? This time around, I think I’ll just use it as a guideline. I do really like the checklist format to help me remember to eat my veggies, especially the green leafy ones. I also plan to continue my commitment to not eat any sweets throughout this pregnancy. To learn more about eating a healthy real food diet during pregnancy check out The Nourishing Traditions Book of Baby & Child Care and Real Food for Mother and Baby. 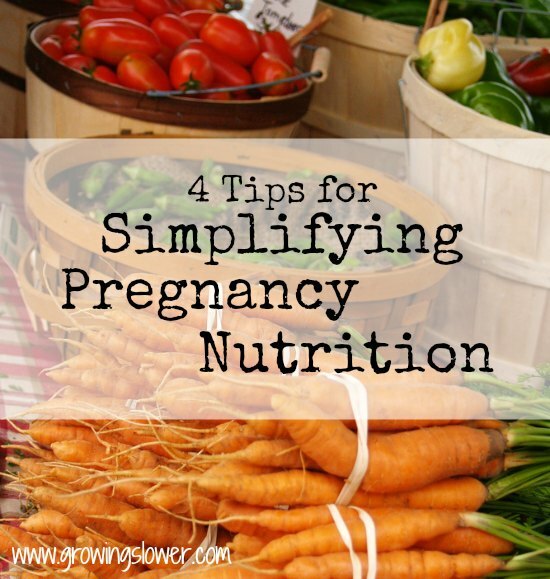 How do you make sure to get your nutrition during pregnancy? Title Image by Paparazzi Liz on Flikr. HOW do you eat the Brewer Diet? That calls for SO. MUCH. FOOD! I can’t begin to fathom how to cram it all in – especially with baby taking up half my stomach space. I’ve never known anyone who actually managed it (or close), so I’m really curious. I’d love if you shared this with us at Eco-Kids Tuesday tomorrow! I loved the Brewers Diet! Very good advice! I felt so much btter with my 2nd pregnancy when I was drinking my own preg tea, plenty of water, being faithful about taking my supplements, eating well (Brewers) with about 100g of protein daily and walking lots! Thanks for sharing with us at Eco-Kids Tuesday! Hope to see you again tomorrow! Supplements make a HUGE impact. I used to get horrible leg cramps in my third trimester and then I learned that magnesium deficiency was the culprit. Sadly, my doctor didn’t tell me this – I learned it from another mom. But once I started taking a magnesium supplement, the leg cramps stopped that night. I still use it today. I would love it if we could get all our nutrition during pregnancy just by eating healthy foods, but for me at least it just isn’t possible. Thank goodness for supplements! I’m really trying to give this new baby the best start possible by giving it all the nutrients it needs. It seems I’ve read a lot lately about everyone being magnesium deficient. For me it is vitamin D and Calcium. Sounds like pretty good advice for in general too (though you can modify the tea and supplements as needed). I am still breastfeeding my 22 month old and I need to remember to drink that much water. It seems hard to concentrate on these things when you are so buy with baby! I agree, it is really tough to remember to drink enough water when you’re pregnant or nursing, or both! At one point I had a half gallon water bottle with a lid, straw, and handle. That made it really easy for me to pick up with one hand and drink without spilling, and I didn’t have to worry about filling it up all the time. 15 a day…wow, I’m so proud of myself when I’m *nursing* and hit a gallon! It’s good to know I can have some tea, too – I need a little variety from all this water!!! I think 15 cups a day is just shy of one gallon, so you’re doing great! I also like to drink some coconut water for some variety. When I was pregnant, I was always thirsty. I think I drank about a gallon of water a day, on average. That’s probably why I retained so much water with my first pregnancy! Great tips! I remember when I was pregnant just gulping down water all the time. I’ve started making smoothies to help get in some extra fruit and veggies. Good tips. Great tips! I found my biggest challenge was getting enough water and I usually paid for it with nasty BH contractions by evening! Yes, it is really important to do regular exercises, have a good sleep and to have a healthy meal though it is difficult.